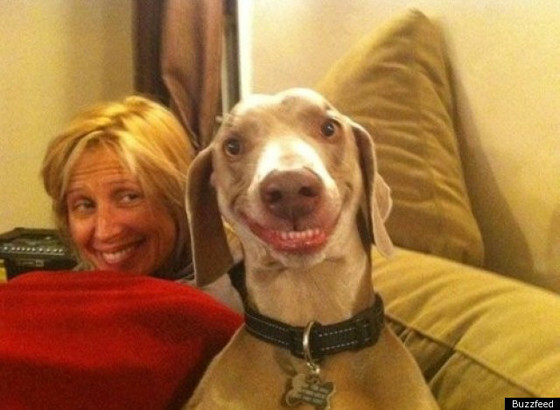 We're not sure who this dog is or why he's so happy, but does that really matter? He's flashing a glistening set of chompers and turning our upside down faces into big Kool-Aid grins. And that old adage that pets and their owners start to look the same? Guess that's totally true, isn't it?